With the growth of Internet and social networking sites, there are more and more home-based businesses that are mushrooming all across the globe. These home-based businesses can range from small-scale to medium-scale, and there are many home-based businesses that have grown to larger proportion. When you run a home-based business, it’s more often than not a one-man show. You run everything from the ground up. Some people tend to have a natural knack at business and some of them don’t. But with the prolific growth of home-based business, there are many things a home-based business owner can do to make sure that he or she gets the right tools and help in running their business. One of the most important things about running a home-based business is to know how to manage your accounts. Often dubbed as “the language of business,” accounting is important for it tells you the state of your business in terms of how well or how poorly you’re doing. It reviews your budget, your expenses, your gains and losses. It can also help to determine how you can move your business to a higher level. It’s not impossible to manage your own accounts even if you have never had any experience or knowledge of accounting before. Granted it takes practice and discipline to learn it, as while it’s not impossible, it can be quite complicated. Start at entry-level: If you have no prior knowledge or experience of accounting, it’s wise to read as much as you can on the basics of accountancy. There are many websites that offer free accounting lessons such as accountingcoach.com. From these websites, you can download their programs and/or systems to get you started. Books like Accounting for Dummies is a good start as it lays out the terms and principles of accounting in layman language. Familiarize yourself with accountancy through quizzes and exercises to break into the idea. Enroll in an online university: The great thing about the Internet is, you can learn practically about anything. There are online universities that offer accounting courses such as the Indiana University, Massachusetts Institute of Technology and University of Michigan. Some of them are free. You can find out more on their official websites and get in touch with the department to learn how you can enroll in their free online courses. Try free software: Many of the websites on accounting offer trials on their accounting software. After you’ve equipped yourself with the basic knowledge of accounting, you can download this software and try to use its features. 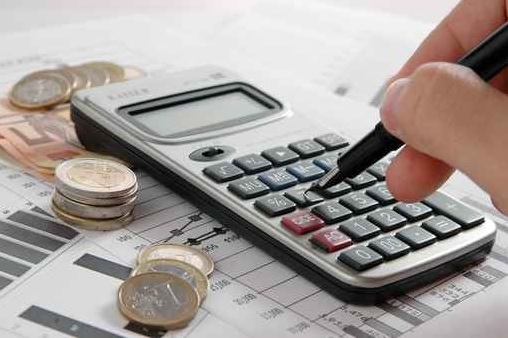 Having first hand experience in handling accounting tool will reaffirm and enhances what you have learn in theory. Watch tutorial videos: Just as there are many websites offering free accounting lessons, there are also tutorials videos on YouTube that you can watch. This is helpful, especially if you’re not the reading type of person. One of the best tutorial video websites on accountancy is freeaccountingschool.com. The videos will guide you on step-by-step on the things you need to know when it comes to accountancy. The videos are in simple language and easy to understand so have no worries even if you’re a noob in accountancy. Apply the knowledge: As mentioned, nothing works better than hands on experience. Once you’re comfortable with what you have learnt, begin applying your knowledge in your own business. Identify the areas of your business based on your accounting knowledge and try making the switches in your booking that are necessary to your business. Get involved in bookkeeping job: You can look for part-time job that requires light bookkeeping to enhance your skills. Since you’re running a home-based business also, make sure this job doesn’t interfere with your business or that you let your business gets in the way of your job. This step is not necessary, but if you feel you could use more exposure, then it’s something to consider. Once you’ve acquired the necessary skills and knowledge to run your own home-based business, don’t stop learning. Always be hungry to know as much as accounting as possible by reading on anything relating to accounting, especially the “What Not To Dos,” or “Common Mistakes Made by Home-Based Business Bookkeepers,” and the likes. You can also continue to read up on financial success stories to inspire you in your business endeavors. These can go a long way in maintaining the dedication and discipline you need in being your own business owner for no matter how small is the business, as long as you’re dedicated and constantly looking to improve yourself, you will be on your way to success. Readers, as a small business owners how did you first learn accounting? In my case, I learnt it in college. It was part of the computer application curriculam. Then for this blog I maintain a simple spreadsheet on Google docs for accounting. I would like to help you, and you can feel free to erase this comment as soon as you read it. Also, I have never heard anyone using the word “accountancy,” and I believe you meant to say “accounting,” which is the commonly-used term applied to tracking money in relation to business. Good luck with your blog. It is full of great, sensible advice, and I enjoy reading it! Thank you very much for your comment. I won’t delete it. I corrected all the typos and obvious errors. the part of the world I grew up in, it’s called accountancy. But the blog is targeted for Americans so I made the correction from accountancy to accounting. As a CPA – I’m thrilled that more business owners would want to learn accounting. But as a small business owner, I would argue that most small businesses would be better served if they spent their time learning sales/marketing, and just hired a bookkeeper. Do you think accounting is a more important skill for business owners to master?